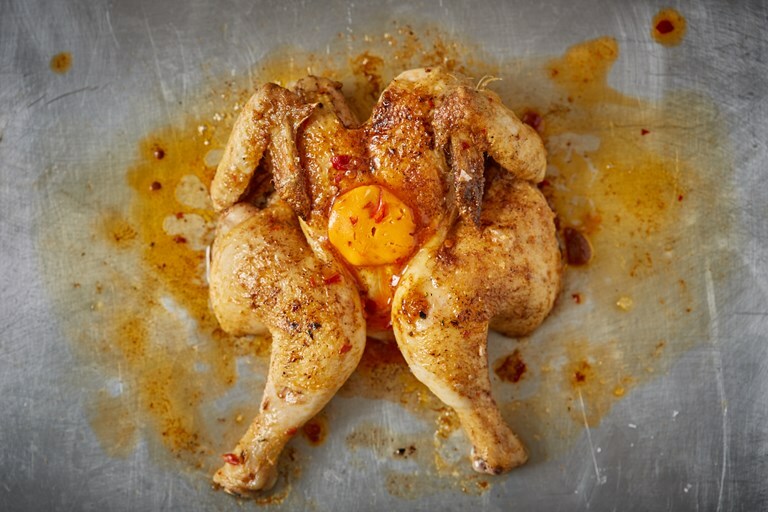 This spatchcocked poussin recipe sees the bird basted in a compound butter infused with fermented chilli bean paste for a fiery, rich flavour. Serve with fried rice or shred the meat and stuff into a bread roll for a deliciously indulgent lunch. Spatchcocking the poussin means it will cook very quickly, allowing the meat to remain tender and juicy. If you're not sure on how to spatchcock poultry, check out our guide on how to do it.